Will Cloned Cattle Give Us What We’re Looking For? If you followed the three part pictorial history of cattle size and type by Dr. Harlan Ritchie (see Part 1 here), you may have wondered, “What’s next for the Industry?” If it’s meat quality you’re looking for, a group of scientists think their cloned cattle may be the answer. Here it is in a Press Release from Texas A&M University. Scientists at West Texas A&M University confirmed on Wednesday that they have taken a step closer to achieving a cattleman’s dream: a herd of cattle that consistently produces the highest quality beef, and more of it per animal. In the beef industry, conventional wisdom holds that the quality of beef suffers as the yield—the amount of boneless, closely trimmed retail cuts—increases and vice versa. But the initial results of WTAMU’s research involving cloned cattle demonstrate that it is possible to improve both simultaneously, which means higher value beef can be produced without wasteful trim fat. 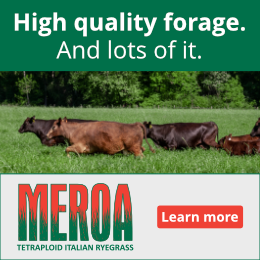 “This outcome indicates that the antagonistic relationship between beef carcass quality and yield can be overcome by crossing rarely occurring animals,” said Dr. Ty Lawrence, professor of meat science and lead researcher on the project. PhD Candidate Kelly Jones with Alpha when he was a calf. In 2012, WTAMU successfully cloned a bull, which they named Alpha, from the carcass of a steer that graded Prime, Yield Grade 1—the best combination of quality grade and yield grade in the U.S. Department of Agriculture’s beef evaluation system. Such a rating is only achieved by about .03 percent of all beef carcasses. Three heifers—Gammas 1, 2 and 3—were cloned from another Prime, Yield Grade 1 carcass. While not clones themselves, the 13 calves of Alpha and the Gammas were the first bovine offspring ever produced from two cloned carcasses. Last month, seven of them were harvested. 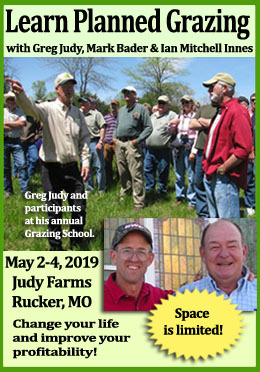 The seven steer carcasses were evaluated by a third-party USDA beef-grading supervisor and graded significantly above the industry average. One of the seven achieved the Prime grade, three graded High Choice, and three were Average Choice. The industry average is Low Choice. Industry-wide, less than 5 percent of all beef—fewer than one in 20 carcasses—grades Prime. 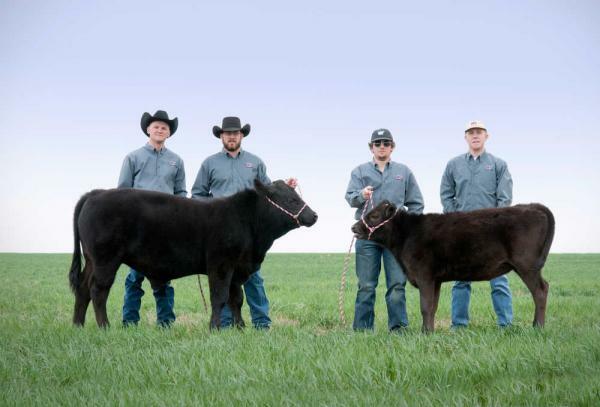 All seven of WTAMU’s steers produced a yield grade of 1 or 2. The industry average is a 3. Compared to the average animal reported in the 2011 National Beef Quality Audit, the offspring of Alpha and the Gammas have 16 percent less trim fat, 9 percent more ribeye and 45 percent more marbling. “By finding, cloning, and crossing these rare genetics, we have demonstrated the ability to create exactly what the market desires: high quality taste fat without unnecessary waste fat,” Lawrence said. These findings have been five years in the making and the ongoing project has included numerous partners. WTAMU teamed up with ViaGen, a private company now based in Cedar Park, to develop the initial clones for the purposes of breeding them. Part of the team caring for West Texas A&M University’s clones, bull Alpha and one of the females called Gammas, from left to right: Kelly Jones, Landon Canterbury, Paydon Hales and Hayden Alexander. Collaborating with their industry partners, animal scientists from WTAMU were careful to raise the offspring of the clones in the same way that cattle would normally be produced for commercial meat production. 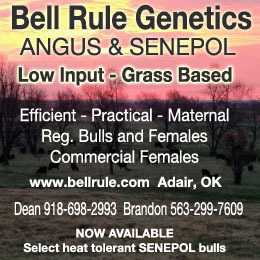 The research team is encouraged that the data thus far points toward a new way to improve beef production efficiency. Following these initial results, the team plans to conduct a commercial scale trial with future Alpha-Gamma calves that are cattle bred, born, raised, fed and harvested outside the controlled University research environment. Additional trials will also proceed with Alpha alone—they want to know how he compares to top sires of multiple breeds selected through traditional ways. They also plan to continue to find and clone exceptional carcasses. “We anticipate this to be the beginning of a long relationship of positive research outcomes,” he said. Want more? Here’s a nice article with great pictures. Well it seems like there are cheaper ways to get calves on the ground, but even if increased value from sales covers that, other hurdles remain (as pointed out by Mr Hines). I would also question- how many descendants of these clones will breed true for their carcass traits for more than a few generations and/or in other environments, even if the breeding population is selected by ultrasound? Time will tell. Then too, although many chefs & consumers now prefer prime beef to leaner quality grades, how long will that fashion last, especially if prices rise? Tastes change (think popular music, hair styles), and there are other ways to finish cattle, as, I suspect, is well known to many who read On Pasture. Carcass value is only one part of profitability and many times is antagonistic to the cow calf rancher and his profits. I have been a vocal critic of cloning as the wrong cattle will be cloned! I know a professor at WTAMU, and although we have not discussed this particular proposition, I know what his answer will be. Very close to what I just posted. Tell us more, Chip, about how carcass value can be antagonistic to the cow calf rancher and his profits. I think folks would like to know. And if you could pick a cow and bull to clone to start a good breed, what would you choose? You always have good thoughts! Thanks, Kathy. value to the Cow calf producer begins with the size and type cow to survive as much as possible with what the land produces. This cow must be easy fleshing. That means she easily puts on fat. This cow is more likely to breed early. Fat is an insulator. But, more important at is her winter supplement. A cow carrying fat will need less hay and less protein supplement as she is carrying It on her back. The perfect carcass animal being discussed carries very little fat to decrease trim. When cows got oversized during the period of 1970 too the last few years, they naturally became leaner. That caused more supplementation and hay feeding. Some for size, some for lack of fat for insulation and lack of energy from fat. Their total emphasis is on carcass. What about frame score and heifer weight? What size cow will they be when grown out? WTAMU is only thinking of their feedlot and packing industry. It is now being recognized that fat, animal fat, has less correlation to obesity as once claimed and that fat has a place in our diets. Which is most important? Cow efficiency or steer efficiency? This thought will evolve into another article I will submit to On Pasture to further explain the antagonisms. Thanks Kathy, for inviting me to explain my comment. Thanks, Chip! This is great, and I really appreciate you sharing it. These calves were “naturally grazed” with their mothers on native grasses. Then confined in a feedlot for 185 days. One fourth of their lives (actually more than that) in a feedlot. “On pasture” must mean more than “preparation for confinement.” Cloned or not cloned, something seems wrong to me.